Getting Started with your Remodeling Project! There are a few things to do to get started. Don’t panic. Chester County Kitchen & Bath is here to help with every step you take! Five Tips to Help You Get Started with your remodeling project! If you’re even thinking about a kitchen remodel, odds are you have been already been looking on Houzz or design magazines. (Guess what, we are a Houzz Pro!) Both are great ways to jumpstart the process. While looking through magazines, tear out photos of kitchens that appeal to you and write what you like about the room in the margin. Then slip the page into a clear sheet protector and insert that into a three-ring binder to create a stylebook. Or Houzz makes it easy to create a lightbox. 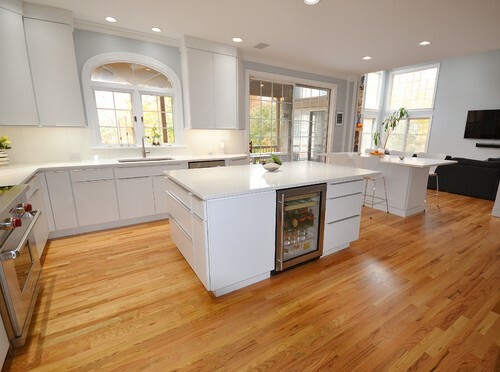 As your stylebook grows, a clear picture of your desired style of kitchen will begin to emerge. That’s helpful for you, but it’s also helpful for the remodeling professional. We will get an idea of your personal style. Why are you remodeling your kitchen? Perhaps you want a kitchen that will help with resale in a few years. Maybe you desire a kitchen built for entertaining or one that allows several people to cook at once. This is the time to assess your needs and wants. Make notes about how you plan to use the remodeled space, then try to determine your goal. Set a Time Budget.When most people hear the word budget, they automatically think of money. However, when remodeling, it’s also important to budget time. Is there an event on the calendar that would be affected if your kitchen was under construction? Above all else make sure you have reasonable expectations when it comes to your kitchen remodel. Talk to people who have been through the process before. It’s going to have a certain amount of mess. It’s going to be a financial stress. It should be fun!